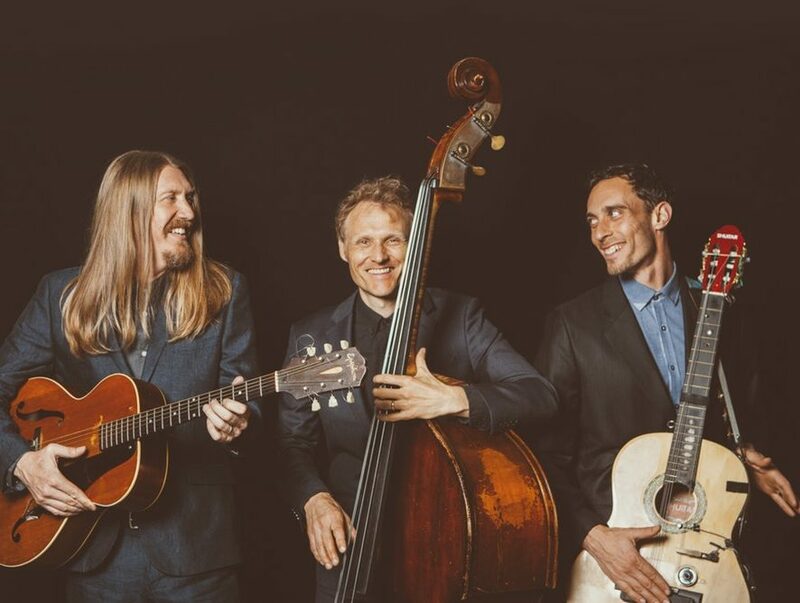 The Wood Brothers’ new disc, “One Drop of Truth,” an album as full of sly metaphors as it is catchy melodies, opens with a funky bass line by Chris Wood before brother Oliver’s singing takes over. While that opener, “River Takes the Town,” and much of “One Drop” sounds like a response to the storms of last year – of all kinds — Chris Wood says most were written before the waters began rising. In fact, he notes the songs were written one at a time and recorded and mixed in various Nashville studios over eight months. 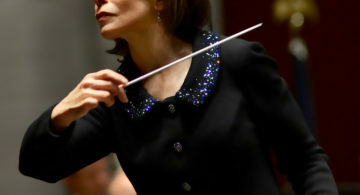 But he agrees that a few common themes emerged from those sessions for the trio’s 11th album. Water is one. “Water absolutely is a strong and common metaphor in all kinds of writing and poetry,” he says during a call from his home in Nashville, where the brothers have landed after going their separate ways earlier in life. Those hard days lead to another rollicking good Wood Brothers album. 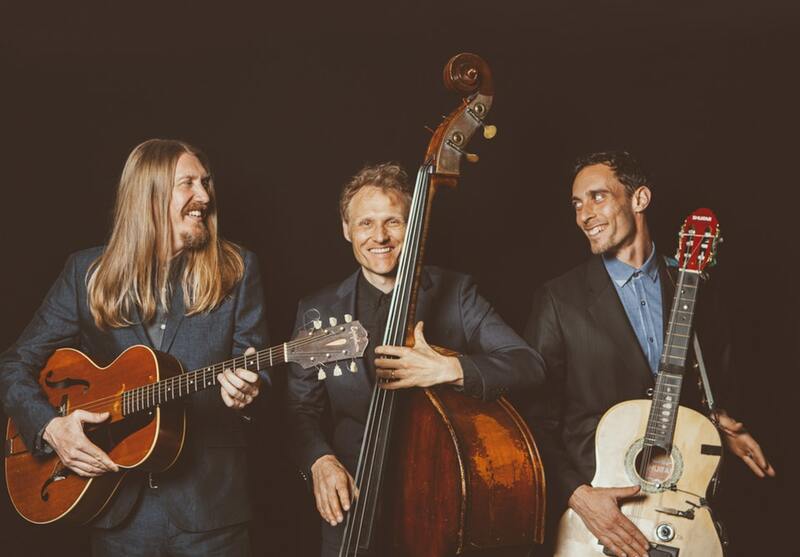 They bring their high-energy live show to Funhouse Fest in Williamsburg as part of a packed lineup on Saturday, June 23, that includes smooth crooner Amos Lee, longtime local favorite Gibb Droll, and Bruce Hornsby playing with the Virginia Symphony Orchestra. Wood knows Hornsby and his band as well. They played a number of double bills last summer. The festival opens Friday, June 22, with Alison Krauss following Bruce Hornsby and the Noisemakers. Typically, for “One Drop of Truth” the band tried something new. They had self-produced their last disc, “Paradise,” and decided to do that again, but to also take their time, recording one song at a time in a variety of Nashville studios. “It felt like a much saner way to record music,” Wood says, noting that before the heyday of the album, artists would drop into a studio while on the road to record one song. For Wood, it’s been more than a decade since he united with his brother and later multi-instrumentalist Jano Rix to form what would become a powerhouse live act. They were born in California and grew up in Boulder, CO, the children of academics, a mother who was a poet and a father who was a molecular biologist who was a folkie in Cambridge during the late 1950s who played with Joan Baez and had a radio show at Harvard. Chris headed into jazz, going to school in Boston before settling in New York. “Somehow jazz took over and I ended up in an instrumental band for 28 years,” he says. Oliver headed to Hollywood, then landed in Atlanta where he played with bluesman Tinsley Ellis before forming King Johnson, a hard rocking outfit that played blues, funk, and country. They settled into separate careers in separate cities. Then one night in 2006, King Johnson opened for Medeski, Martin, and Wood, Chris’s enormously successful jazz-funk band that formed in 1991 and released a handful of classic albums on the Blue Note label. One of the members of MMW wanted to get off the road. Wood still plays with his old mates; I caught a sold-out, sinuous, improvisational set he played at Maple Leaf, a jazz dive bar in New Orleans during Jazz Fest this year with John Medeski, drummer Johnny Vidacovich and sax player Skerik. He jokes that The Wood Brothers have enjoyed a “slow rise to the middle,” then adds that they like the middle. He knew he didn’t want to create some sort of jazz project. He fantasized what it would have been like for Charles Mingus and Robert Johnson to form a band. “I felt like I had more to offer by putting what I did in a singer/songwriter context,” he adds. They started as a duo doing a more intimate folkie thing but didn’t stall there. When Rix joined, it gave them a chance to become much more.